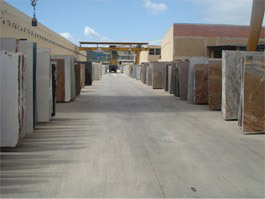 International Slab Sales (Pty) Ltd is a proudly South African owned wholesaler of quartz, granite and marble. Our vision is to continue offering excellent service to our existing customers while expanding further into the rest of the continent. 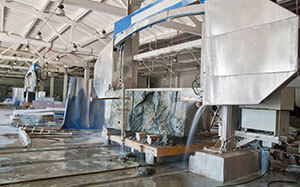 The company was founded in 2000 by directors Rudi Eggers, Bridgitte Raats and the late Dr H. Eggers. We now have over 130 employees and practice equal opportunity employment – careful to ensure that we’re in right relationship with SARS, labour legislation and other regulatory bodies. Well-appointed staff members are one of our greatest assets, while entrepreneurial focus and a dynamic approach to business allow us to constantly adapt to consumer and customer needs. With a network of global supply relationships, we’re constantly balancing the influences of international trends with maintaining strong, local roots.  ISS owns the Rudi’s Choice and Eezi Quartz brands, also enjoying sole distribution rights for Caesarstone in Southern Africa. 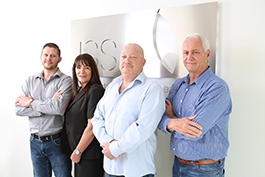 ISS has a legacy of honesty and integrity that define how we ‘do business’ and engage with our stakeholders. While pouring our energy into our consumer and customer relationships we’ve discovered that what’s important to them is an efficient and effective material delivery system. ISS maintains a fleet of company-owned trucks so that we can provide a 24-hour turnaround time between ordering and delivery, ensuring that our customers’ businesses can operate efficiently. Sustainability and earth-conscious business are also close to our stakeholders’ hearts. Although our products are shipped to South Africa from other countries and then transported inland by truck, the carbon footprint of our products is audited regularly. As part of our commitment to South Africa and future generations we’re constantly on the lookout for ways to make our business more sustainable.